Johannesburg is a city of gold in many respects, from its early beginnings of being a mining town to now being South Africa’s economic hub. Having not lived in Johannesburg for long, the fashion areas people seem to hold in high esteem in the city are usually Hyde Park in Sandton, Parkhurst with its long string of high-end boutiques, Rosebank Mall, Maboneng and the likes. I have spent a lot of time in Braamfontein since my arrival in the city and slowly but surely I’ve been going through hoops to try get a taste of the Sandtons, the Parkhursts, the Rosebanks. 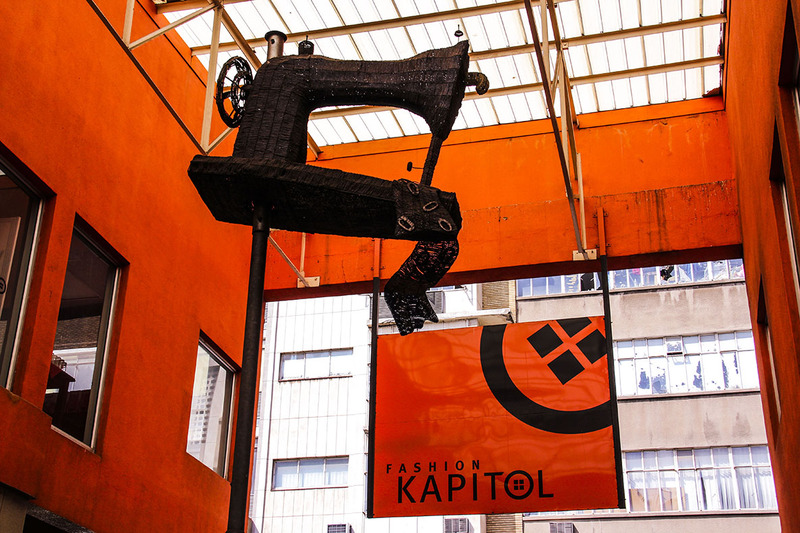 Little did I know that I was over looking probably one of the richest fashion areas in Joburg – the Fashion District. The CBD previously seen as run down and now being ‘refubished’ is not what you see on TV or at the various fashion weeks. What many haven’t yet realised is that this district is actually a gold mine. I’ve recently received the opportunity to go explore the Fashion District, right at the heart of Jozi. What I appreciated most from the stores in this area is that, whether its food, clothes or jewellery, you will find items that are made in Africa by African people. This area is the space of the original products. From authentic Ghanaian fabric, to AmaXhosa jewellery, Ethiopian baskets and Basotho blankets – it can all be found here. A perfect hub of African trading and African retail in its truest form. The unfortunate part is that because of this very reason people don’t value the businesses in this area. It’s a common trend in South Africa where people don’t value their own, we are always looking to America and Europe as the markers of what is fashionable and what is valuable. We often fail to appreciate what is often right noses and embrace that. So I have made it my mission to marinate myself in the Fashion District of Jozi that is full of life, knowledge and African luxury. Next We’ve all ‘borrowed’ at least one item of clothing…right?